Payoneer’s international payments platform allows users to send and receive payments across over 200 countries, in more than 150 currencies. Users can keep track of their account balance, payments, and full transaction history online, including foreign currency amounts and transaction fees. Payoneer offers multiple methods for payment transfer, such as prepaid MasterCard®, bank transfers, and e-wallets. Users can decide whether the payer or the recipient pays the transaction fees, and specify this when requesting payments, both from other Payoneer users and also third parties without Payoneer accounts. I feel great having Payoneer as my account, I mostly use it for transacting and withdrawing different amount of money, it has become easy to shop online through Payoneer, The payment system is reliable, cost effective and trustworthy, I have a secure connection of Payoneer with my email account, but sometimes the customer service takes so much time to response, overall best kind of services can be found on Payoneer, all the money I have transferred have been successfully done so far, I don't have any issue with transferring or withdrawing the money, I use it for shopping at supermarkets and do work well there too, my purchases have been very much easy through Payoneer,all the payments I have been receiving out of my job are coming with no harm, the are secure and I don't have to pay anything in return.In my opinion, Payoneer is one of easiest and cheapest way for transactions.easy to transact money. Customer response rate is low. Excellent customer support, my computer was hacked and someone accessed my payoneer and transferred funds to their account, I was frustrated, contacted the support they assured me they will manage to refund the payment, after several verification process after few weeks funds were restored, thank you!! The privacy is quite a hassle, they need to enhance security, direct payment method from paypal to payoneer should be integrated, other than that highly recommended! I've been using Payoneer for a few years now and I'm surprised at how people underestimate the tool. PayPal is massive but Payoneer works great too and it's an interesting alternative. They send you a prepaid debit card for free to your home. 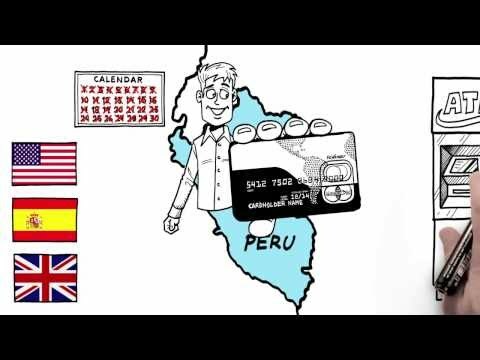 You can use this card anywhere in the world to pay for purchases or withdraw money from ATMs. It saved me many times when traveling abroad. They charge a yearly maintenance fee, which I find reasonable. Their fees are lower than PayPal's! Support could be massively improved. Their knowledge base is lacking and getting in touch with live support is a PITA. Don't use them to withdraw money in your local currency (unless it's dollars). They'll kill you with the rate exchange. Charging for incorrect transactions when using an ATM is not good customer care. At the moment, as for me, one of the most convenient platforms for working with foreign clients for freelancers. It has an easy intuitive interface, reasonable fees, established connection with Amazon and other merchants the list of which is constantly expanding. The only negative is that right now I can't connect the Payoneer debit card to PayPal as PayPal no longer support Payoneer cards for withdrawing funds. I have been able to make somany transactions either by sending or accepting funds from different countries using payoneer and by far, I have not had any issues.I love the fact that it allows me to make online transactions (monetary). I love the fact that it allows me to make online transactions (monetary). Nothing, payoneer is good for any business transactions. Below are some frequently asked questions for Payoneer. Q. What type of pricing plans does Payoneer offer? Q. Who are the typical users of Payoneer? Q. What languages does Payoneer support? Q. Does Payoneer support mobile devices? Q. Does Payoneer offer an API? No, Payoneer does not have an API available. Q. What other apps does Payoneer integrate with? Q. What level of support does Payoneer offer? Q. Which apps is Payoneer compared to most often?